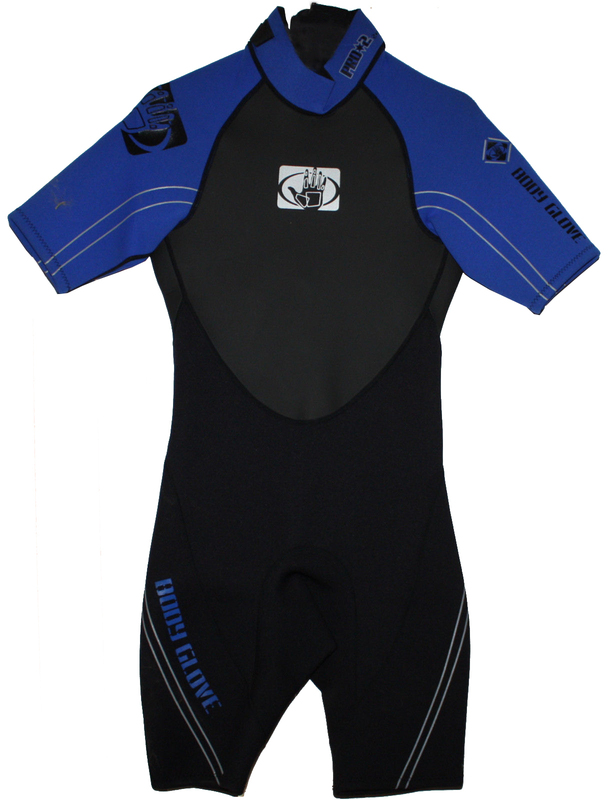 The Body Glove Pro 2springsuit is constructed from durable nylon with a smooth skin collar and comfortable flatlock stitching. 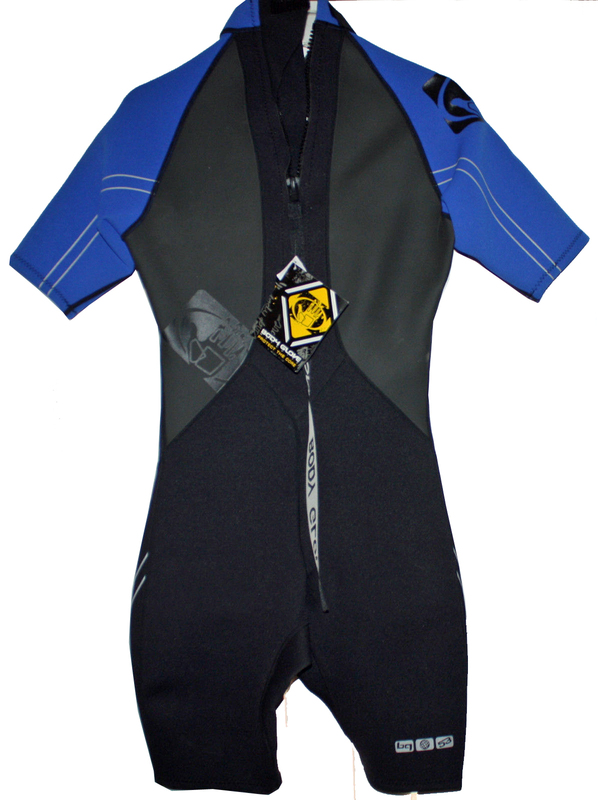 It has a hoop and loop neck closure and leg seals for a secure fit. Also comes with handy key pocket. Body Glove graphics for brand recognition. Size Guideline: Height: 5'6"-5'8". Weight: 130 lbs - 150 lbs. Chest: 37"-39". Waist: 29"-31"